In reaction to a series of high-profile data breaches that originated in third-party networks, many organizations have implemented third-party risk management programs. But, some companies are relying on subjective, outdated information to make decisions — and that information could be putting their organization at risk. Third-party risk management is only necessary for companies with hundreds or thousands of third-party relationships. 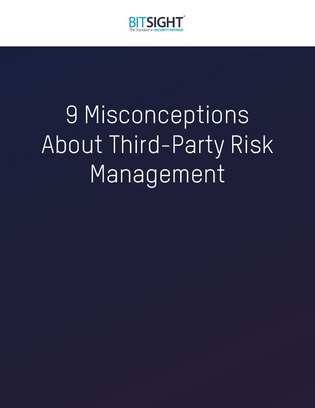 Compliance should be the primary goal of any third-party risk management program. The Board doesn’t need to be concerned with third-party risk management. Read on for 6 more dangerous misconceptions.